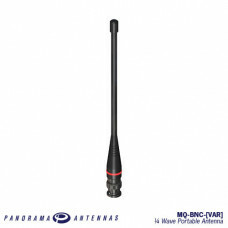 The Panorama MQ is a high quality 1/4 wave antenna range made with advanced materials and supporting connectors for various radios. Panorama manufactures its 1/4 wave range from high quality advanced materials producing excellent bandwidth, efficiency and durability. 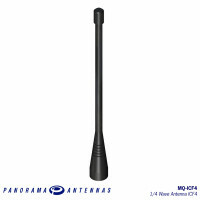 Panorama employs many decades of insert injection moulding experience jacketing its portable antenna products in advanced TPU thermoplastic material. This expertise in design, materials selection and process management means that Panorama portable products are highly durable and offer consistent performance across manufacturing batches. In order to optimise performance OEMs and resellers should contact Panorama to check specific tuning for portables. The Panorama MQ is a high quality 1/4 wave antenna range made with advanced materials and suppo..